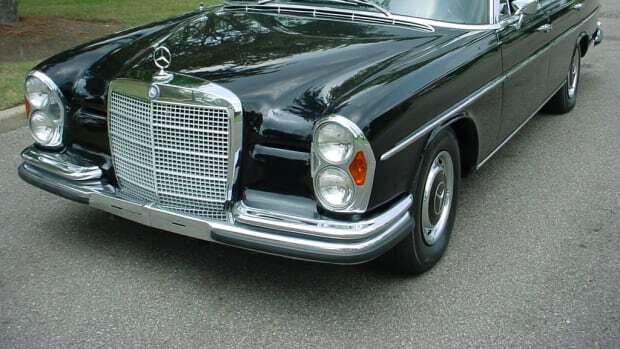 From the '50s and '60s. It's getting to the point where we've seen all the great pix of Steve McQueen that exist. Or so we thought. But once in a while a rare shot surfaces and we realize all over again why he'll always be the King of Cool. 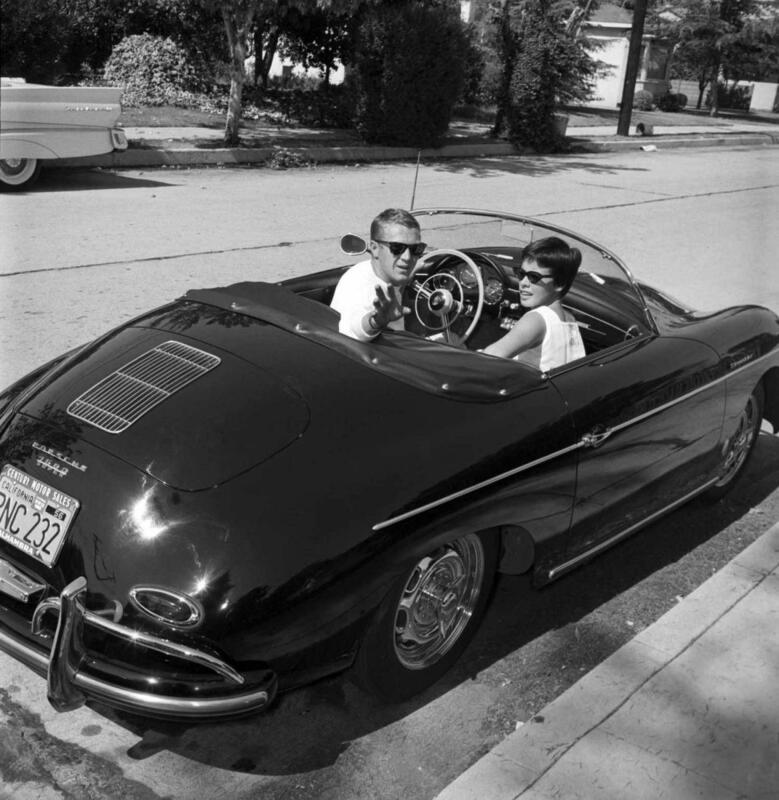 So here's a recently uncovered snap showing McQueen and wife Neile Adams in 1961 in one of his least-documented rides: a Porsche 356A 1600 Super Speedster. While McQueen's later Porsche 911s are well known, his 356A Speedster is a relative rarity – as are photos of him in it. The 356A 1600 Super, also known as the Series 'A', introduced in 1955, was Porsche's first genuine 100 mph production car. 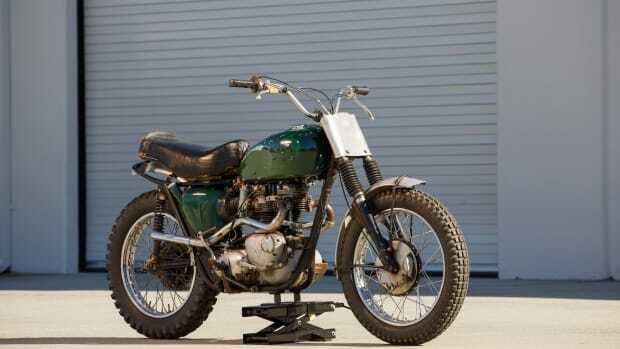 Designed primarily for the California market it was meant to appeal to gentleman racers like McQueen, who took his on the track. Frank Worth. 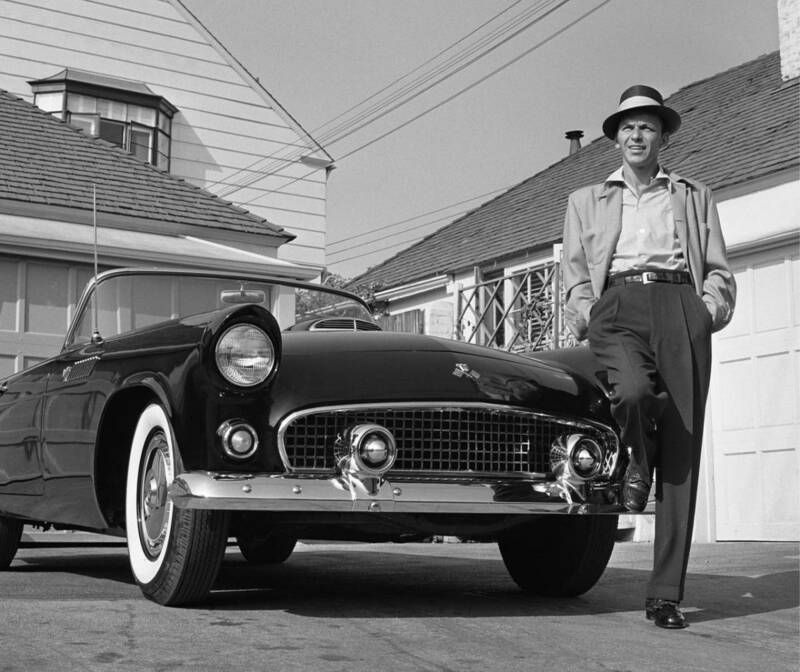 Frank Sinatra Standing Next To T-Bird, 1955. $595. Larry Barbier. 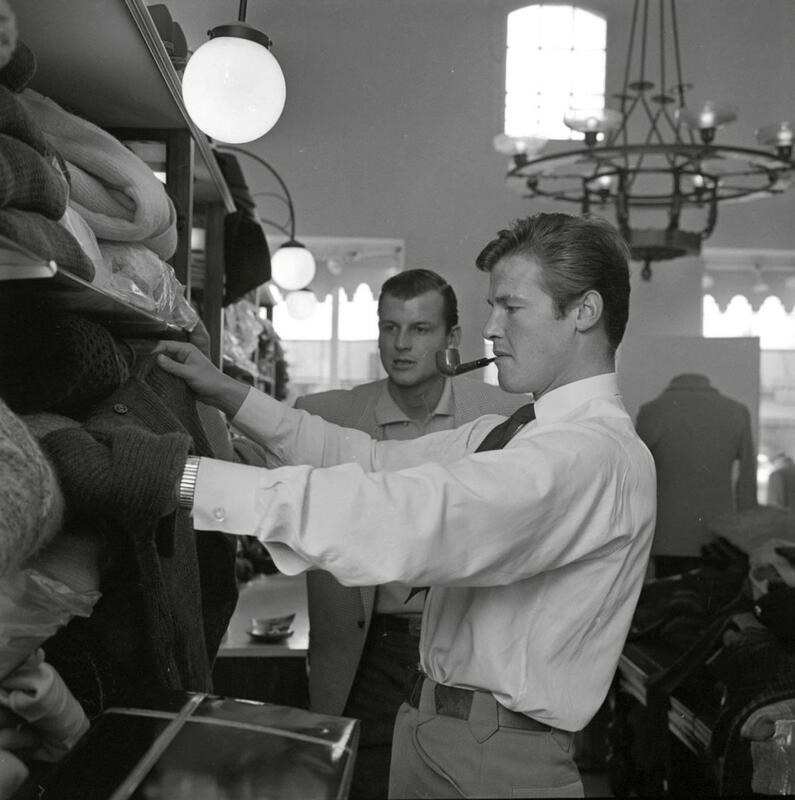 Roger Moore, playing Simon Templar in The Saint, goes shopping, 1961. $595. Unknown photographer. 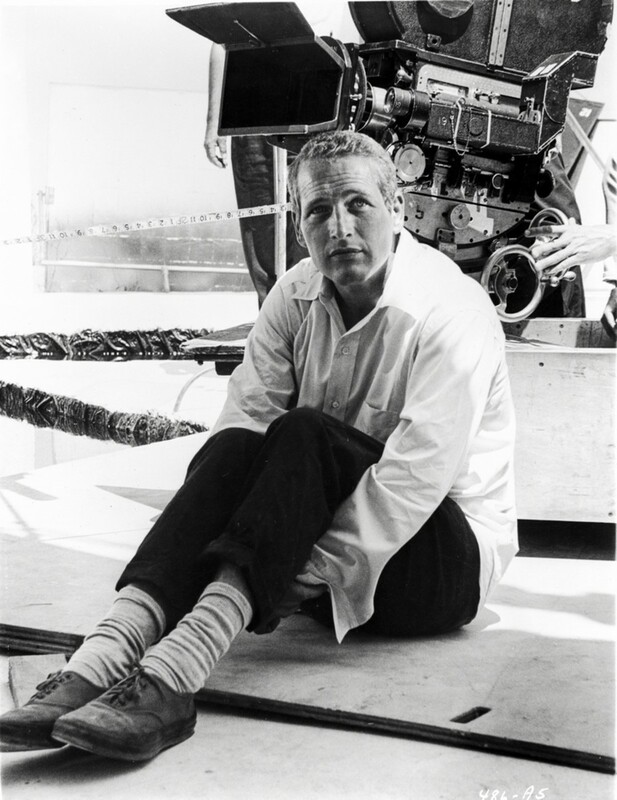 Paul Newman on the set of Harper, 1966. $595. Frank Worth. 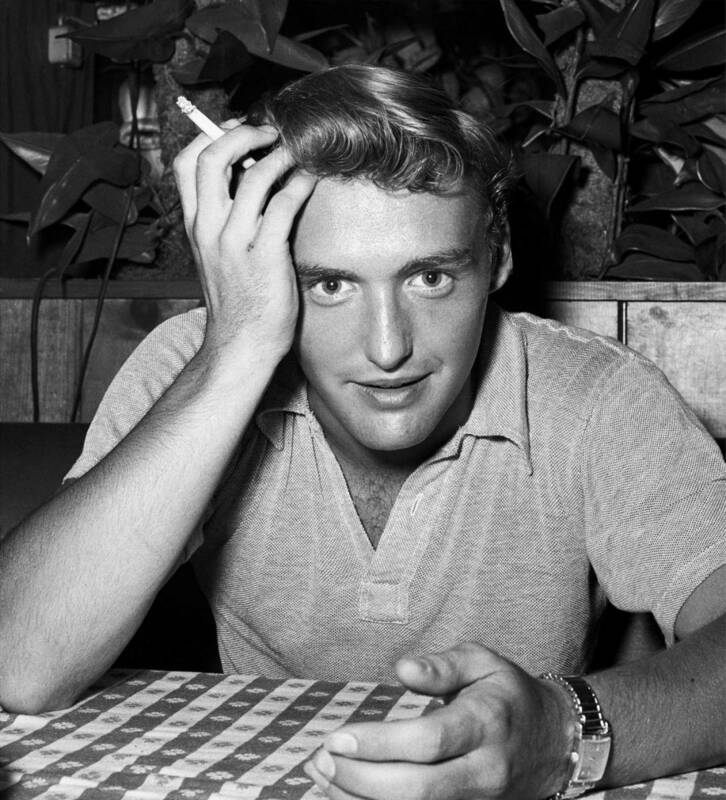 Dennis Hopper at Musso & Frank Grill, Hollywood, 1955. Russ Meyer. 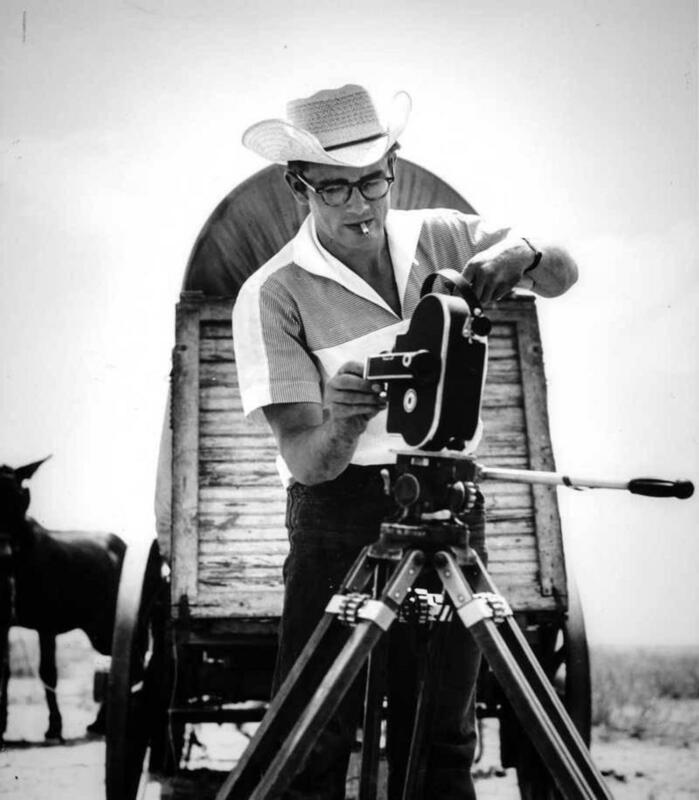 James Dean with camera on movie set, 1955. $595.